A lot of people describe themselves as nerds these days who really aren't. They're hipsters. But if you have a hard time differentiating, no one can blame you as there are plenty of similarities. Nevertheless, there are a few hipster tells. Redditor moson posted this helpful image that clearly outlines the differences between nerds and hipsters. 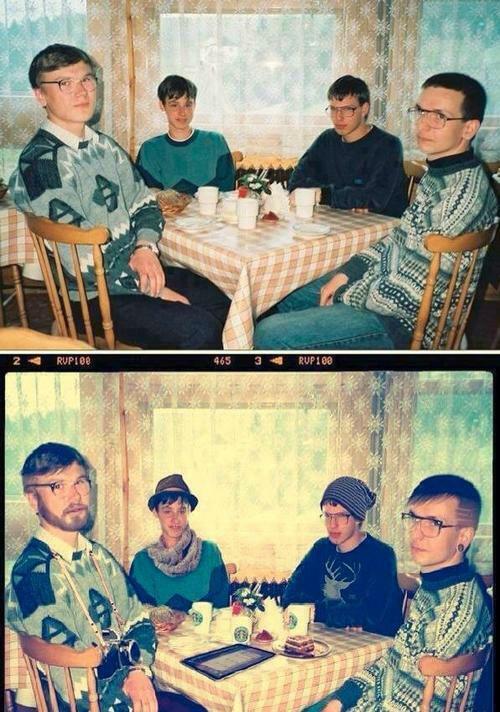 Fun fact: the original photo is of actual, honest-to-god scientist nerds from Poland. Hooray!